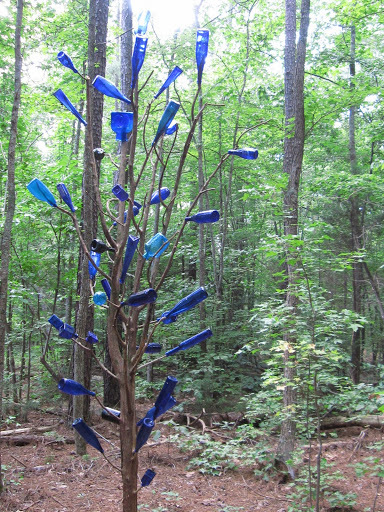 A reader recently sent us these photos of his two bottletrees, one all-blue and about 15 feet tall, and the other amethyst, red, orange, and green, and about 4 feet tall. Both trees were made from a dead cedar on the owners’ property, which they cut down and relocated to their gardens. The smaller tree is actually the top of the bigger tree! 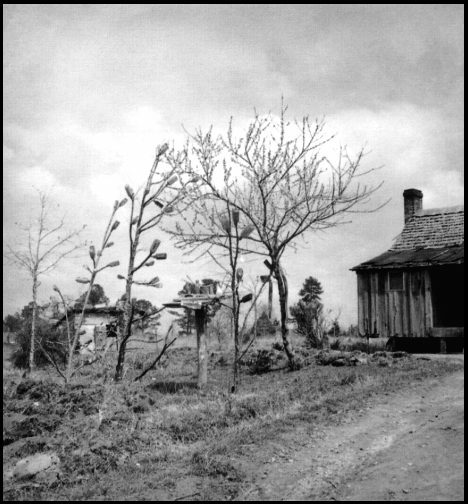 The owners, Stanley Finch and Jeffery Beam, trimmed the top off in order to make the first tree a reachable height, and in the process they got two bottletrees out of one. 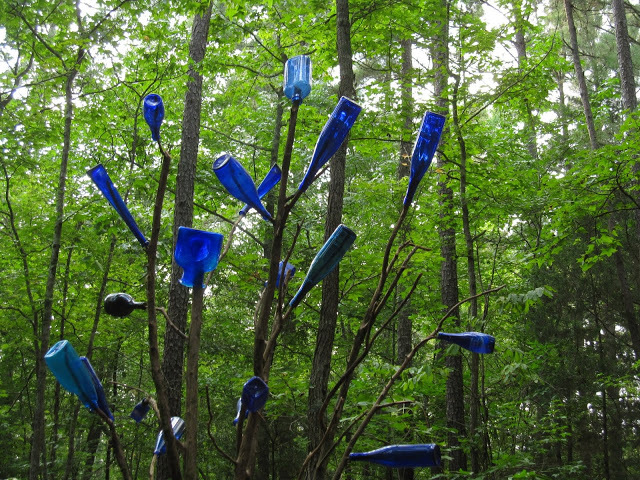 Many of the blue bottles on the tall one are actually California olive oil bottles, and we think they are a beautiful color and shape and give the tree a unique character. 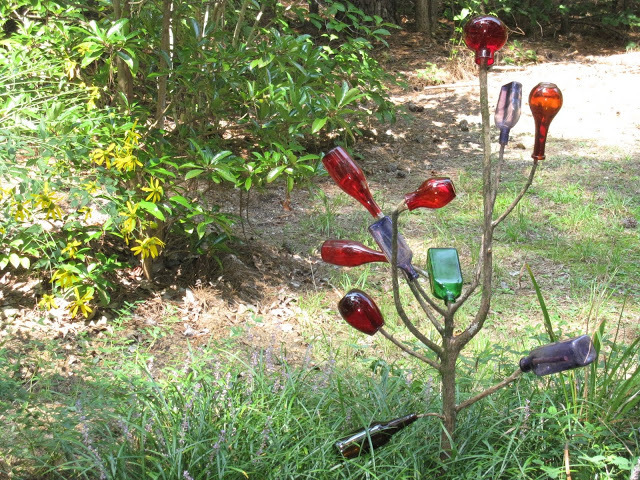 The amethyst bottles on the shorter tree are from a flea market near Linville, and the rest of the collection has been assembled from various searching around and donations from friends. You can find these trees at 3212 Arthur Minnis Road, in western Orange County. Many thanks to Stanley and Jeffery for reading and contributing to the bottletree project!